They were cool, radical and French. The French New Wave carries an almost mythic quality among cinephiles as the most influential and widely recognised avant-garde in the history of cinema. The story of its origins is whispered as a tale of yesteryear to every succeeding generation. Friendships born of long nights in Parisian Cine-clubs. Hours spent alternating between watching endless reels of films from all over the world, and lengthy discussions over interpretation and stylistic choices. It didn’t matter if the films came with no subtitles and no one could understand a word. It was the image they poured over, and that came to define their work. From these smoke-filled projection rooms arose a magazine, the Cahiers du Cinema, where these young cinephiles theorised about film and wrote panegyrics to the triumphs of American directors like John Ford and Orson Welles. The New Wave directors, Jean-Luc Godard, François Truffaut and Éric Rohmer among them, were notable not just for what they made, but also where they came from. They were critics who, having grown dissatisfied with the stale literary adaptations that populated the French cinema of the period, became filmmakers, a transition which has always been a rare thing in the medium. Nowadays the relationship between filmmakers and critics can sometimes be fraught, with the less charitable among the artists dismissing the thoughts of critics with some variation of the adage that “those who can’t do, teach”. But many filmmakers share an equally great level of respect for film criticism and see it as an integral part of cinephilia. After all, there is no more open forum for discussion of cinema than the newspaper sections and websites dedicated to film criticism. In fact, Godard and Truffaut didn’t see their two careers as being separate, but as symbiotically feeding into each other. It was through watching and writing about films which they developed their individual tastes, began to understand how narratives were told, and how the language and aesthetic of cinema could be understood. They brought this understanding to their work, allowing for a more self-reflexive style of cinema, and for a filmic text that understood itself to be a created work, rather than a pure representation. 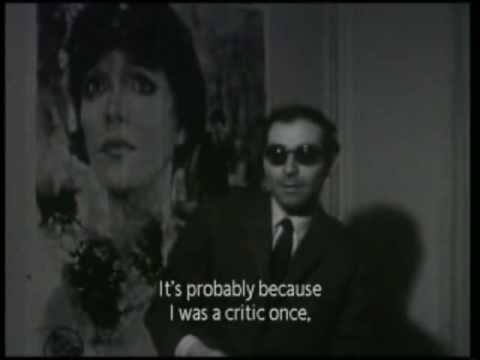 We can see this in the paradigmatic film of the French New Wave, Godard’s Breathless (1960), which is in constant dialogue with American cinema. The main character Michel attempts to emulate the figure of Humphrey Bogart as a movie gangster both sartorially and in his actions, be it constant smoking, donning an overcoat, or robbing a car. Not only were the films themselves often ruminations on cinema, but as a group these directors pulled no punches criticising each other on the pages of Cahiers du Cinema. The vibrant film culture that both bred and fed on the French New Wave became the global face of arthouse cinema, inspiring the renaissance of Hollywood filmmaking in the 1970s. Despite their notoriety, the New Wave directors were not the first to make the move from film criticism to filmmaking in the history of the seventh art. Jean Epstein and Sergei Eisenstein were two such figures of early cinema whose careers were spent either in the making or the analysis of films and film language. Epstein brought impressionist ideas to the still embryonic study of film theory, which he in turn tried to employ in his own films. Meanwhile in the newly formed Soviet Union, Eisenstein pioneered new editing techniques in his silent Soviet propaganda films Battleship Potemkin (1925) and October (1928) which he famously theorised about in his writing. He developed the classic theory of the montage, drawing on the Hegelian notion of the dialectic to conceptualise the cut not as something which separates two filmic elements, but as the clash of two elements which produce some new idea, emotion or association. He saw the montage as being the central aesthetic development of the cinematic style, thus providing the first salvo in one of the early debates in Film Studies on what exactly constituted the essential and unique features of cinema. In more recent times, Laura Mulvey and her husband Peter Wollen, both film theorists, have from time to time taken position behind the camera to make films as part of a push towards what Mulvey termed “counter-cinema” which subverts the codes and norms of mainstream Hollywood filmmaking. In so doing they imported their own theorizing into their films, seeking particularly to address such questions as the representation of women in a sustained way supported by visual and stylistic innovations. Perhaps the most intriguing contemporary case of someone who mixes the role of filmmaker and critic is Quentin Tarantino. The director of Pulp Fiction (1994) is famously knowledgeable about film history from every corner of the world. Though his films have always been popular and by and large commercially successful, it is sometimes forgotten how much he drew inspiration from arthouse cinema (his production company, A Band Apart, is named after a Godard film). 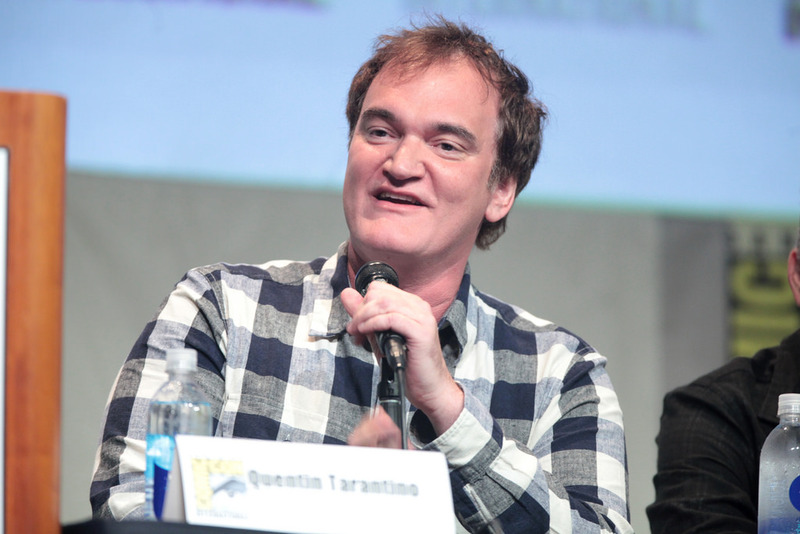 As such it is perhaps not surprising to find that Tarantino spends his private time writing film criticism, which he describes as mainly “film appreciations” of directors or genres. Far from being just a side project, this writing has at times been a source of inspiration for new stories, notably Django Unchained (2012) which originated out of Tarantino’s writing on Westerns. The question of what film criticism written by Tarantino might look like is enticing enough, but there is a chance cinephiles everywhere might one day get to read it. “I’m hoping to compile a book”, he declares. Despite all these examples, it is still undeniably the case that switching back and forth between the two occupations of critic and filmmaker has been a rarity for as long as cinema has been a popular artform. While critics and directors are united in their shared love of cinema, they rarely seem to want to partake in any significant way in each other’s crafts. If the cynical interpretation were correct, then critics could be seen mostly as failed artists, who either through lack of luck, vision or technical ability could not succeed as writers or directors. It could also be that there are many critics and directors who have both the capacity and the desire to take part in both activities, but who simply choose to dedicate their lives to one of them because of the higher chance of personal success that comes with focused dedication. It is also likely however, that both groups relate to cinema in different ways, and that it is this difference in disposition which explains the craft they are most drawn to. We could name the two polarities in this spectrum of disposition “self-reflexive” versus “instinctual”. As a visual medium, cinema is often primarily a sensorial experience, one that impacts the audience emotionally through image, sound, characters and narrative. The critic is someone who revels in dissecting how this is done, and formalising his thoughts in writing, while the artist is primarily interested in reproducing that experience in new ways. These divergent goals push the critic and the filmmaker to focus on their own specific domains of knowledge as well. In filmmaking, technical expertise of such things as screenwriting, camera movement and editing are paramount, which must all come together in order to achieve a desired impact. The critic on the other hand is focused on a different kind of knowledge, one that understands cinema not only formally but also sociologically. These domains inevitably overlap, but the divide is in the purpose and focus of the two crafts. This spectrum between intuition and reflection is present within the groups as much as between them. For Tarantino, his film criticism is explicitly a reflective exercise where he positions himself as a “student of cinema” and sets out to “constantly putting my aesthetics (…) under a microscope and then being forced to describe [them]”. Perhaps the opposite of this attitude among directors could be personified by David Lynch, who resolutely rejects any queries about the meaning of his films or of any authorial intent in his work, preferring instead to describe an undirected process akin to stream of consciousness. In film criticism and film theory, there are also different approaches that fall along this axis. The phenomenological tradition is especially concerned with the psychological and physical experience of film spectatorship, a noted practitioner of which is Vivian Sobchack. The neoformalist school spearheaded by David Bordwell conversely is focused on breaking down the ways in which meaning is produced by the various interconnected elements of film style. Those few critics who do make the transition most often find themselves working in a smaller arthouse medium that is friendlier to their interests. It is perhaps then not so surprising that a sudden influx of critics into the realm of filmmaking as influential as the French New Wave is a rare occurrence. However, the mystique of that period should not blind us to the fact that both filmmaking and criticism are most prosperous when different methods and approaches can coexist and thrive alongside each other.